Mydax is proud to announce that we are celebrating our 30th year in business this month. Starting in February 1986 with our patented refrigeration circuit utilizing embedded computer control, our slogan of “Advanced Temperature Control Technology” still holds true today. As the world shifts away from fossil fuels and towards renewable sources of energy, new technologies are fueling new markets. One such source of energy is hydrogen. Powering fuel cells to generate electricity, hydrogen is an environment friendly alternative to other means of electric generation since its byproduct is pure water. 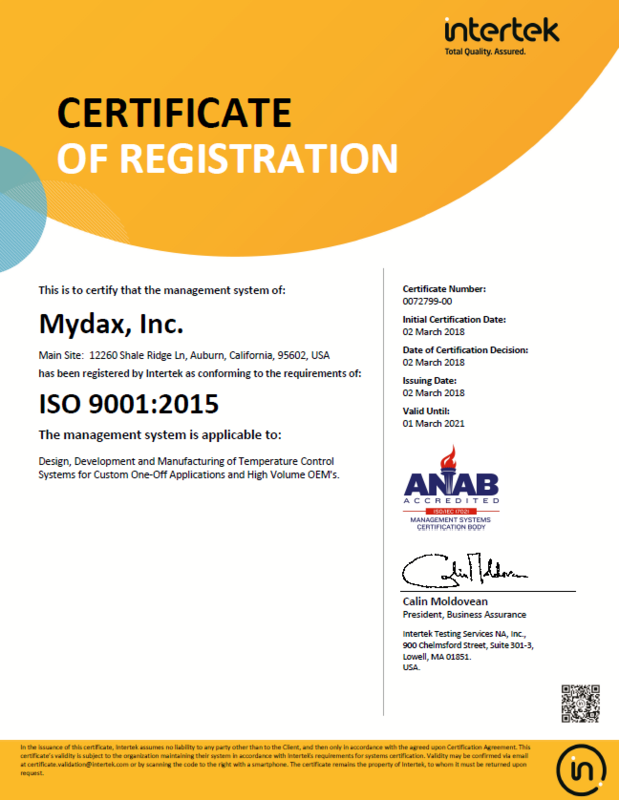 With over two decades of experience and refinement of low temperature chiller / heater systems, Mydax has designed the CryoDax series of chillers to provide power and reliability for industrial temperature control applications.